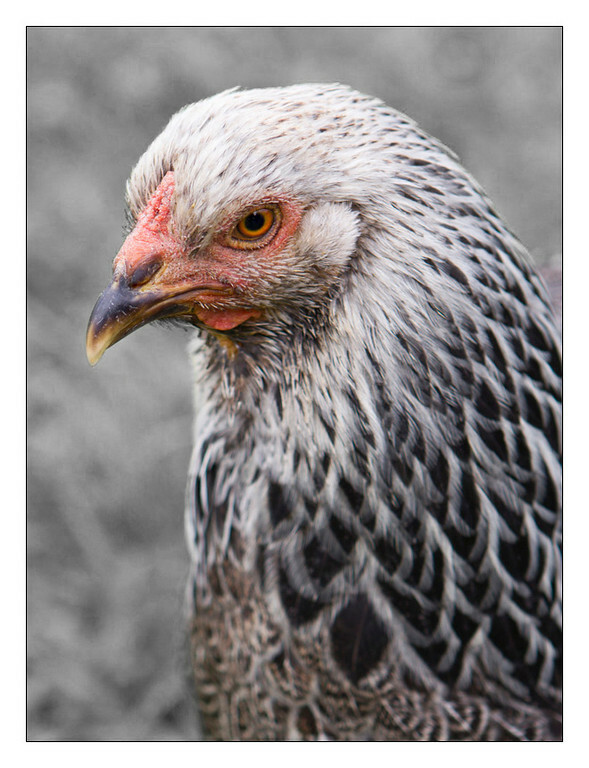 A happy hen was wandering the fields eating bugs. 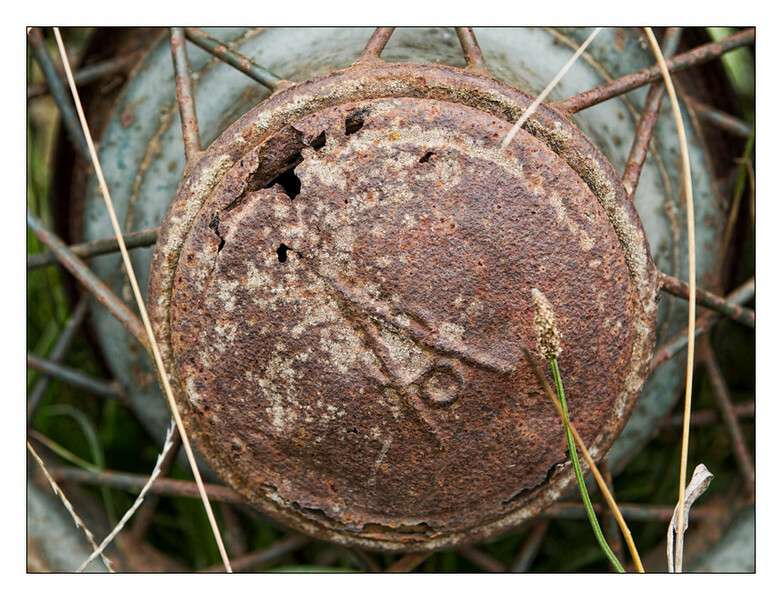 The wheel off an old Cadillac repurposed on a wagon. 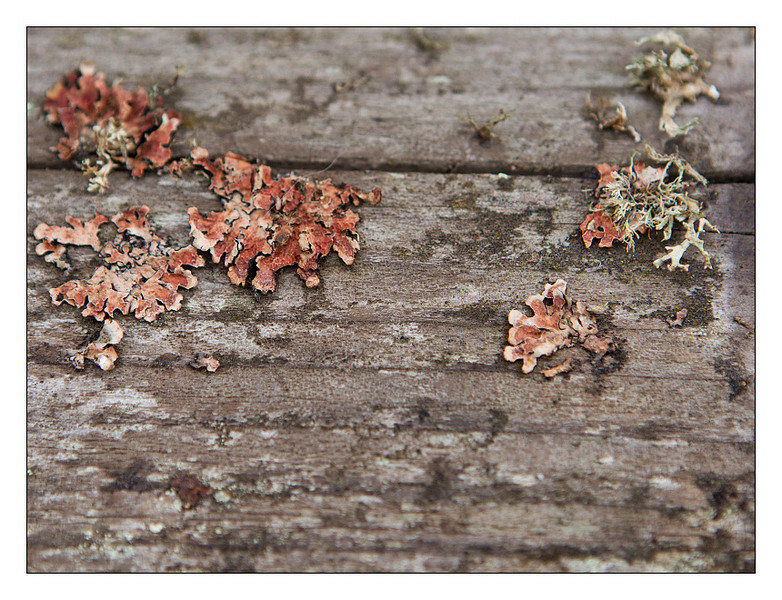 Lichen growing on a picnic table.